Blog | Main Line, PA | TJ's Painting & Renovations Co.
“Do it right or don’t do it at all.” This reflects TJ’s standards of workmanship, craftsmanship for all handyman and custom renovation projects. We use the best products available and are continually retraining our skills by learning about the latest techniques and most efficient procedures. “Don’t just think about spending money. Think about spending money right.” It’s all about proper planning and budgeting, plus having the knowledge to ensure that your new projects have a high-quality of finish, and the durability factors to last as long as they should. “Looks can be deceiving.” No where is this more prevalent than in the handyman and home improvement industry. Do your due diligence, ask a lot of questions, ask for referrals, go visit job sites, do a background search (via your local municipality, the PA State Attorney Generals’ Office, etc. ), and know exactly what you are paying for by demanding an itemized proposal (with labor and materials separated). Hiring a handyman and renovation contractor is like dating don’t commit until you are certain you know what you are getting into. “Don’t be sold. Be serviced.” Enough said. Trust me – or simply listen to anyone you know who has been ‘under-serviced’ by a handyman and custom renovation contractor – it is definitely worth paying more for a strong finish contractor who has a sense of aesthetics and works clean, and who also has the integrity to follow-up on all of your requests from the planning stage through the post-production stage. Everyone hates bathroom mold! Especially homeowners investing their money in new bathrooms. However, thousands of homeowners are hiring contractors who install…what eventually will be…a moldy bathroom. 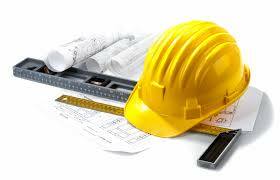 We have successfully completed 150+ custom bathrooms using very detailed work plans and implementing modern technology construction products. Needless to say, the “Discovery & Pre-production Phase” is the key – as this is where you and the contractor SHOULD DISCUSS EVERY PRODUCT AND PROCESS TO BE — USED IN BUILDING YOUR NEW BATHROOM! A well planned project is a well run project. A fully informed customer is an honored customer. The primary measure to avoid a moldy bathroom is this – If the correct products and processes are employed a bathroom will be a Lifetime Investment. If short-cuts are taken and traditional products are used, then it will be a short-term investment. This comes down to the process and products chosen by the bathroom contractor to avoid bathroom mold. I strongly advise of the following: 1) Use only non-organic materials. Meaning – use a faceless insulation only in the walls, use the Wedi system or Kerdi products for shower walls and pans (or a similar type product), use only mold-and-mildew resistant drywall (not “green board” – “green board” is NOT mold-and-mildew resistant), ensure that a 6-mil vapor barrier is used on exterior walls, etc. 2) Create separation between cold zones and warm zones – and wet areas and dry areas – by using a spray foam insulation and/or a faceless insulation along with a 6-mil vapor barrier that is sealed over every staple and seam. I cannot tell you how many times I have seen mildew and bathroom mold that was reno’d less than 5 years ago. Bathroom renovations are akin to restoring an old car. If all you do is repaint the body of the car, eventually the engine and other mechanical components are going to leave your nice shiny car…and you… sitting on the side of the road. Point being – make sure you take care of and know precisely what is going on behind the walls. A third point would be – if you live in an old house and had the presence of prior mold or a mildewy smell in the old bathroom, be prepared to pay an additional 25% to 50% for unexpected structural “surprises” that are discovered during the demo or gutting process. If bathroom mold has infested into structure, be prepared to pay for additional structural carpentry or professional mold remediation – both of which can be very costly. Painting kitchen cabinets and adding new hardware will transform an old kitchen to looking like they just came off the showroom floor. Well, that is, if they are refinished with a little care. Hopefully these painting kitchen cabinet tips will help. Aaahhh… The wonder of color! To help my fellow customers and DIY’ers achieve long-term satisfaction with your “new” cabinets – make sure you do the following when painting existing cabinets: 1) Oil-prime, using a blocking oil-primer. Yes, that’s right. Not all oil-primers were created equal!?! 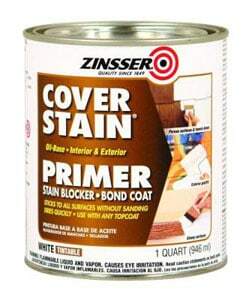 We use Zinsser Cover-Stain, which is a blocking and sealing oil-primer. Oil-priming is absolutely necessary to ensure a long-lasting look – and proper adhesion – for the new color. 2) If you are using a brush-application for the finish coat, I advise to use an oil-paint. The paint we use is Sherwin Williams All-Surface Enamel (oil – this product also comes in latex). This product finishes with a buttery-like look and repels ordinary surface detergents such as dirt, cooking by-products (um, grease), and the like. Using an oil-finish is also much less likely to chip or mark easily. If you do use a latex finish paint, use an enamel quality. All the best, and let those colors shine on! If painting your kitchen cabinets is not in your wheelhouse, and you are not in the market for new cabinets, call TJ’s for a FREE consultation. A water alarm could have saved my friend’s vacation home from being condemned a few years ago. One weekend they were enjoying the surrounding serenity of nature and freshly fallen snow while sitting fireside playing card games with loved ones. And then three weeks later they were distraught over the loss of their hideaway haven all because they did not have the foresight to turn-off the water in case of a power loss. Here is exactly what happened. They left the water on, the temperatures plummeted into sub-freezing ranges for two weeks, there were heavy snowfall storms that took down power lines and knocked-out power to their home, and there was no one there to shutoff the water. When they returned three weekends later, they were aghast at the extent of the damage. The water in every toilet in the house froze and cracked and water just poured out of them as the float valve sensed the toilet bowl was not filled. So the water just ran continuously. Also, several water lines froze and cracked… and yes… the water kept on running. Except now it ran free everywhere, causing so much damage that the home was considered irreparable. So needless to say, if you are ever leaving a house alone in the Winter, turn-off the water – including draining the faucet lines. Leaving the lines open cannot hurt as well. Then if the power goes out – and subsequently the heat goes off – all will not be lost. Another means of being on top of water leaks is the use of water alarms. Most homeowners are not even aware this product exist. This simple, inexpensive device could end up saving you $Thousands$. At TJ’s, we like The Watchdog. I am amazed at how many highly intelligent, well oft, responsible homeowners do not perform due diligence when evaluating painting contractors. I know it’s a matter of time, but when you think about how much time it may take to re-earn income lost for paying a “sub-standard contractor” – and having to hire another contractor to redo a project that was not done right the first time – it is indeed worth the time to perform a thorough due diligence. Website: Do they have one, and is it content rich? Is there communication for email and phone on the site, and is it current? Online Reviews – Angie’s List, Home Advisor, Google, Houzz, Facebook, Yelp: Check all of these locations for reviews. However, beware! Many painting contractors pay their family and friends to post reviews. The only way to trust online reviews is cross-referencing and aggregate – the more reviews the contractor has, the more likely you can trust reviews. References/Referrals: Ask for and check references or referrals. Ask the referrals not just about the positive, but also ask what was the one thing the referral did NOT like about “Joe Contractor”? Scheduling An Estimate: If it’s hard to get service before you give a contractor money, what do you think it will be like after you give a contractor money. If a contractor is truly professional and worthy of your business, he will schedule the estimate ASAP, and to your convenience. Job Site Visits: Visit present job sites to see how the proposed painting contractors run their business. Is it organized, clean, and running efficiently? Are the workers happy while working? And ‘interview’ the other homeowner if they are at the job site. 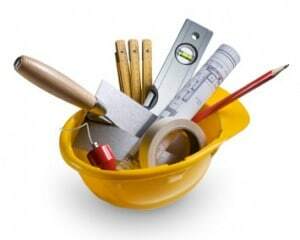 Frankly, a good selling contractor will offer to you to visit job sites. com: In a worse case scenario, I would perform a beenverified.com background check on a company’s principal and maybe even personnel. Been Verified is a criminal and financial background check service. Know this – good people with money problems will do bad things. Google Search: Search the company, principals of the company, and maybe even the workers. You might be amazed at what you just might find. Copy of General Commercial Liability Insurance: Request an insurance certificate with your name and address listed as an additional insured and/or certificate holder. Call Your Local Government: Call your township, borough, or city and inquire if they know the contractor or know anything about the contractor. Evaluate Level of Professionalism & Service: From the first phone-call, to all follow-up communications, and especially in the first interview (project review). Do they show consistency in messaging, market visuals, and most importantly – service. Analyze the Estimate: Did the contractor itemize projects and separate labor costs from materials costs? 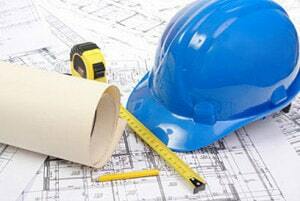 In PA, contractors must separate labor and materials in the quotation. Project Setup and Cleanup: Is this written in the quotation? If not, demand that it is. Communications: Does the contractor have policies and procedures for communicating with you? Be sure to have clear expectations for communicating DAILY – about job details, job progress, etc. – and set these expectations upfront before the work starts. Written Approvals: Is there a set process for you to sign-off and approve everything – colors, special order products, products being used in your home, etc. We use forms for color schedule approval, for moulding approval, for specification approvals, and definitely for a final inspection. Periodic Walk-throughs and Final Inspection: Demand periodic walk-through inspections – and definitely demand a Final Inspection Walk-through. And if the final inspection does not meet your approval, request a punch list if the project list is more than 2 or 3 items. Power of the Purse: Do not make any progress payments, yet alone a final payment, unless you are completely happy with the work and the service. It’s your hard-earned money… Speak your mind! Warranty/Guaranty: What is the warranty? Is it in writing? In PA, the PA Home Improvement Consumer Protection Act requires a 2-year minimum guaranty on labor. At TJ’s, we have a Lifetime Warranty – because we believe our expertise should hold-up in the products and processes we choose to complete your project. Final Invoice: If a contractor requests the final payment before performing a final inspection or asking you if you are completely satisfied with the work, then hide your checkbook. An honorable contractor will inform you that you will not receive a final invoice until everything is completed, and you are satisfied with the work (or have signed-off on a final inspection form). The Agreement/Contract: Remember, an agreement between a contractor and a homeowner is technically “co-written.” You can request to have additions, deletions, or addendums made to the contract – albeit that such modifications are not against the law of the state or code ordinances. Spying: I do not even like saying this, but if necessary you can “spy” on your painting contractors, by using voice activated devices, home monitoring systems – or have a friend or family member pop-in if you’re away or if you’re at work. If you’re around, you could also leave and say you’ll be gone from 8am to 2pm – and then come home suddenly at 8:30 or 9am. Hopefully you will only discover that your paranoia has gotten the best of you. Otherwise, the trust is gone. When the trust is gone, make sure the contractor is gone. If you want to state your value and control how you are treated when hiring a contractor, then perform at least a half-dozen of the due diligence points above. And remember, it’s your money and it’s your home. And also remember, you indeed are The Boss! Interior painting on the Main Line, and in areas nationwide, is now all about using gray paint. This fashion forever color is now in its fifth year of growing popularity. It has garnered such attention that homeowners are now even using it on trim, doors, and built-in cabinetry. 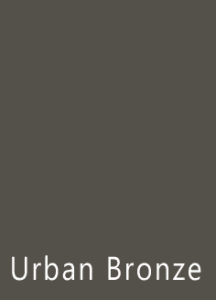 In thirty years of owning a painting company, I have rarely used gray as a finish paint, if at all as a quality interior finish color on the Main Line. Regardless, the painting industry has a new fashion forever color – the earth tones of the modern day – in the color gray. From my end as a painting contractor, I can tell you that over 50% of the wall colors we have applied in the last two years include a gray paint tone. Our interior designers, in our free color consultations, offer the usual array of popular colors, but gray is so big that most homeowners already know they want a gray tone. There are a few reasons why gray paint is so hot. The first is celebrity designers started suggesting and writing-up grays for interior painting – and then professional designers and painters followed suit. And the market responded. 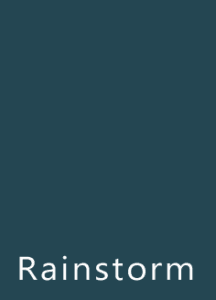 Now of course, the large paint retailers – Sherwin Williams, Benjamin Moore, Farrow & Ball – have followed suit by offering new colors and cool color names for the gray palette in their highest-quality products. Homeowners find the color gray to be soothing, relaxing, and quite versatile. This versatility lies in the concept of using gray a back-drop for decorating, while offering a canvass that does not have to be repainted every time a homeowner wants to decorate. 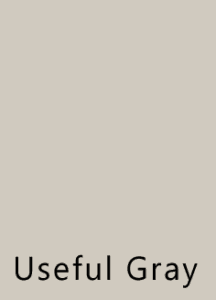 Parma Gray from Farrow & Ball for a deep mid-tone gray. Rainstorm or Urbane Bronze from Sherwin Williams for a rich, darker gray. 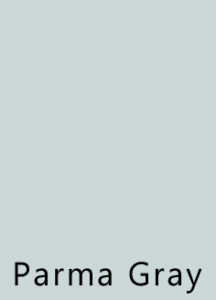 Useful Gray by Sherwin Williams for a mild gray that allows flexibility to tint lighter or to darken-up a bit. 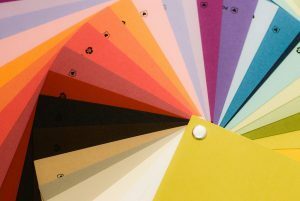 Though white is still the color we use most on ceilings and trim, it is no longer the most popular color we use on walls. Gray paint has taken over on the Main Line for most of the residential painting customer we serve. And for good reason – gray is definitely a strong color trend that is here to stay – that is, until the next fashionable color comes forth. **Please keep in mind that monitor colors vary. I have met hundreds of homeowners in my business and of course have not worked for them all, primarily due to painting prices. Though my pricing has always been fair, a large portion of the home improvement market now has a “lets make a deal” mentality when it comes to looking for new service providers. The Internet has made it virtually instant-quotes-at-your-fingertips simply by sending out 4-5 form emails to contractors online. With this power and speed in the consumers’ favor, painting prices in the home improvement industry have been slowly decreasing over the last decade. And as more and more homeowners become Internet shopping savvy – and more and more low-budget contractors build websites and advertise online, the prices for certain services keep going down. Now there is a lot of information in the prior paragraphs. However, the main point I am focusing on is that there are more low-budget contractors out there than ever before. Build a web page, get a few friends and family (with different last names than the contractor’s last name) to offer “testimonials,” and waa-lah… you’re in business. Hiring on price is and always will be a savvy consumer habit. But hiring on price alone is foolish, especially in the home improvement market. Hiring intelligently is the key. Aside of performing due diligence before even bringing the contractor into your home, ask a ton of questions during the interview process, and demand a detailed proposal that is written in a manner covering every specification of the job. That’s right by the way, it is an “interview” – not an estimate. When you bring contractors in your home and are offering your money to pay to have your project done the way you would like it to be done, you are “interviewing.” So ask them anything and everything you want that is necessary for you to be completely confident and comfortable with whom you are hiring. Aside of hiring intelligently, I also advise people to hire on intelligence – in other words, hire intelligent service providers. You know, there are a few of us intelligent contractors out there… Treat yourself and your home reverently, and hire one of the smart guys. In my next blog, I will layout guidelines for hiring intelligently or how to perform due diligence. As a painting contractor on the Main Line of Philadelphia, we perform interior painting on a range of finish-levels from high-end custom work down to apartment repaints. Some of our customers want perfection from their painters, while others are simply happy to see new colors on the walls of their home. This discrepancy on what the finish quality expectations are is a major communication issue that must be set up front – before the painting project begins. Setting clear expectations with your house painter is a mutual responsibility that we believe starts with the first meeting, between the homeowner and the painter. As your professional painting contractor, we also believe it is up to us – the hired expert – to initiate this dialogue with you and to guide the conversation accordingly. Not only is this setting clear expectations about the painting finish standards, it also sets clear expectations for what the overall painting price will be. We recently had two painting projects that had very different levels of finish quality expectations. One job was in Wayne, where the homeowners were simply happy to see new colors on the walls. 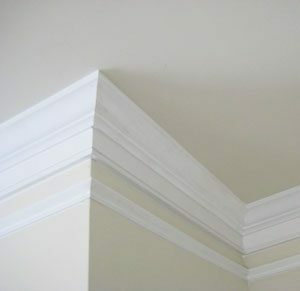 During this same week, we had a painting restoration job in Malvern where the customers were expecting their walls, ceilings, and trim to look brand new. They wanted perfection from their painters, and nothing short of perfection would be acceptable. Now, most professional painters can achieve perfection, but the conversation for clear expectations needs to revolve around one word – restoration. Herein, there is “painting” – better known as “repaint” from inside the painting contractor world. And then there is “restoration.” Restoration painting primarily means the painters take considerably more time to prep the project. Restoration painting can also be performed at different levels – with varying degrees or qualities of finish, from a partial restoration all the up to full restoration. Of course, the more restoration the homeowner expects, the more the homeowner also needs to understand that more labor time will be involved. In this series on establishing clear expectations with your professional painters, in the next blog, we will describe how your painter can achieve a full restoration look, or more commonly how painting contractors can thoroughly prep before painting to achieve a high-quality finish. As we all know, the quality is in the details. Communities throughout Montgomery County, Chester County, Delaware County, and the Philadelphia area.